Click picture to be redirected to the YouTube update. Whaaaat!!?? Another hair color update so soon? You bet your dried, damaged hair it is! I'm even surprised myself as it hasn't even been a full month since I had the sunrise/sunset hair color. So the thing about having pastel hair is that it fades out QUICK. It was only 4 or 5 washes until all the rose gold/peach hair had pretty much completely washed out, and since it wasn't a color I was head over heels with, I decided not to touch it up and just put in a new color combo. Umm...YUM. Pretty sure I say that about all my recipes and pretty sure I say that I say that a lot (still following me here? ), but I only post recipes that my family and I truly enjoy. This is my first attempt at a chicken sate in over 3 years and I don't know why I didn't attempt it sooner. My 3 year old gobbled this up without me even having to ask, and my 7 month old ate it without any faces...though to be fair she will literally eat any food at this point. I made a few substitutions from the original recipe because I couldn't find certain ingredients...or I didn't want to buy them, but this still turned out awesome! Well, if you were looking to make a salad for dinner, you've come to the wrong place! This little recipe is purely for pairing alongside the Chicken Sate w/ Peanut Sauce. It's not particularly something the kiddos would enjoy, but I think it pairs perfectly with the chicken sate and wouldn't make any other side dish! Click on the image to watch the YouTube video! Pretty pastel-ish hair :) I think it's pretty anyways, though this color hasn't been my absolute favorite. I wanna call this a sunrise or sunset gradient/ombre color because it has tones of magenta, pink, orange and yellow but the overall look is much more subtle than some colors you've probably seen out there. Anyways, keep on reading after the jump to see how I transitioned from the fire ombre color to this! 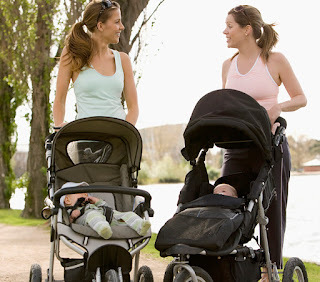 Making New Mom Friends Is Like Dating...Only Harder! Look at these cool moms on a play date! After finding and marrying my husband, I figured I never had to go through the arduous process of dating someone ever again...boy was I wrong. I always felt bad for my friends who went through the dating process because it sounded awful, going on date after date in hopes of finding someone with similar interests, thinking that you've connected with someone and then they never contact you again...that stuff doesn't just happen when you're trying to find the love of your life, it happens when you are trying to find a new mom friend! Only it's harder this time around, much harder. Why you ask? Well let me tell you!